Institutions around the world are helping the National Museum in Rio de Janeiro to rebuild after a fire gutted the historic building in September. 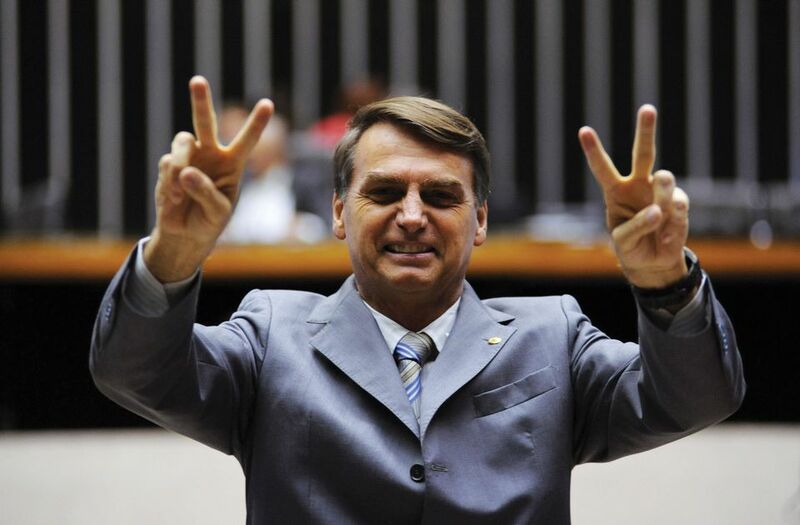 But there is concern about how Brazil’s new president, the far-right congressman Jair Bolsonaro, will affect these reconstruction efforts. This month, Unesco launched an emergency mission to help the museum assess the scale of the damage and guide efforts to revive the building and its collection. Cristina Menegazzi, the Unesco officer in charge of the project, says the museum’s displays could be reassembled with similar items donated from other museums with comparable holdings. She adds that the heritage organisation will “launch an official appeal to raise funds and proposals for the museum”. The Smithsonian Institution in Washington, DC, the Royal British Columbia Museum, and the German, Italian, French, Swiss, Spanish, Argentine, Chinese, Portuguese and US embassies have pledged their support. “Now they have to define the kind of support they will give, whether that’s in the form of technical help or loans and donations toward the reconstruction of the collection,” Menegazzi says. Unesco also announced that it will donate a fossil or cultural artefact of scientific importance from each of the 140 Global Geoparks. According to Menegazzi, these donations are intended for the geological department and will mainly consist of stones and minerals. Brazilian indigenous tribes may also donate newly made works to the museum, and older objects could come from abroad. But an important archive of recordings kept within the museum’s Center for Documentation of Indigenous Languages (Celin) was lost in the fire. Researchers are now attempting to locate copies of the recordings, but this may be a long process, Menegazzi says. “The inventories were not homogenous—each department and collection had a different inventory system and not all the items were catalogued, so at the moment it’s impossible to know what was destroyed.” The United Nations has declared 2019 the International Year of Indigenous Languages, so “with Celin, Unesco will develop activities around this event”. Unesco technicians who specialise in dealing with natural disasters are now working with the Federal University of Rio de Janeiro, the Brazilian Institute of Museums and the Institute of National Historic and Artistic Heritage to collect architectural fragments and pieces from the collection that are buried in the debris, and to ensure that parts of the building do not collapse in the process. Researchers can access only around 20% of the museum, but drone imagery has revealed there could be many salvageable pieces. So far, the rescue team has recovered Luzia, the earliest human skull ever found in South America and a national treasure, which was contained in a metal box within a cabinet of the first floor of the museum. 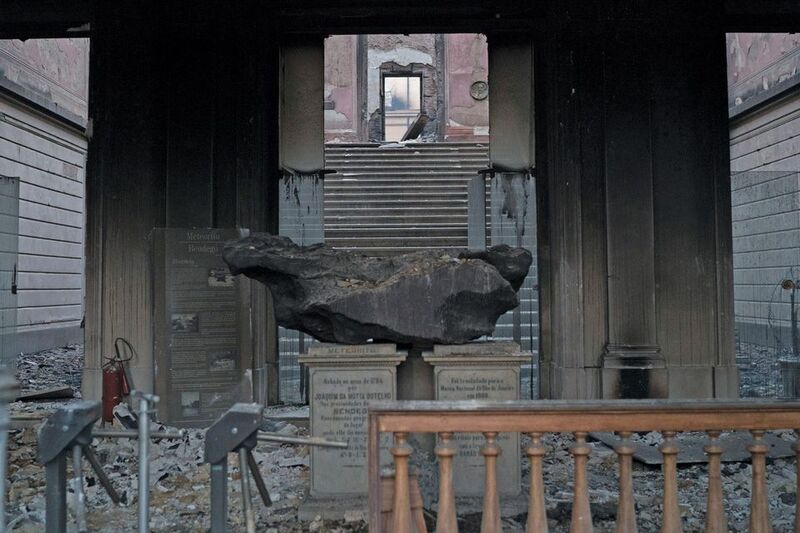 Other items that survived the fire include the Bendegó meteorite, the largest ever discovered in Brazil, and fragments of two dinosaur specimens, as well as the fish that lived in the fountain of the central atrium. The National Museum also had 1.5 million objects from its collection stored in other facilities. Unesco estimates that the first phase of reconstruction will cost around 50m reais ($13.5m) and take at least 10 years. The Brazilian ministry of education has already given the institution an initial 8.5m reais ($2.3m) to begin work on the building. And the secretary of the department for public infrastructure has announced it will donate 2.2m reais ($600,000) and 49,300 sq. m in the São Cristóvão neighbourhood for the museum to build a visitor centre and laboratories so that researchers can continue their activities. On 15 October, the museum’s director, Alexander Kellner, wrote an open letter to the national congress and presidential candidates, asking that they commit to the reconstruction efforts. The museum has received “hundreds of demonstrations of support and offers to donate rare materials to reassemble the collection, however our country has to be deserving of this new collection”, he wrote, urging the government to allocate a decent budget for the museum.